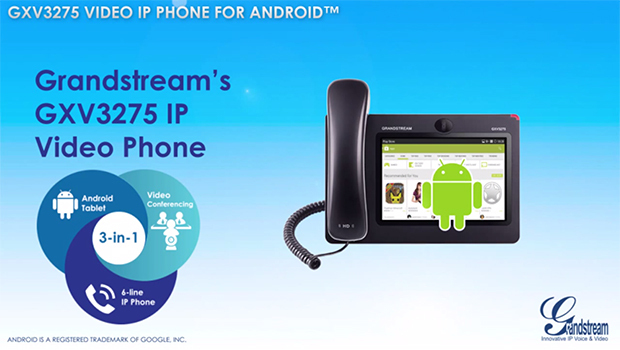 Grandstream, the leading manufacturer of IP voice/video telephony and video surveillance solutions, today announced the expansion of its revolutionary Android IP Video Phone family with the introduction of the new GXV3275 IP Video Phone. With a large 7” capacitive touchscreen, the GXV3275 for Android™ is a 3-in-1 voice/video communication and business application solution combining the features and convenience of a high-end 6-line desktop HD SIP phone, the power of a multi-platform/multiparty HD video conferencing device and the richness of the fast growing Android apps ecosystem. 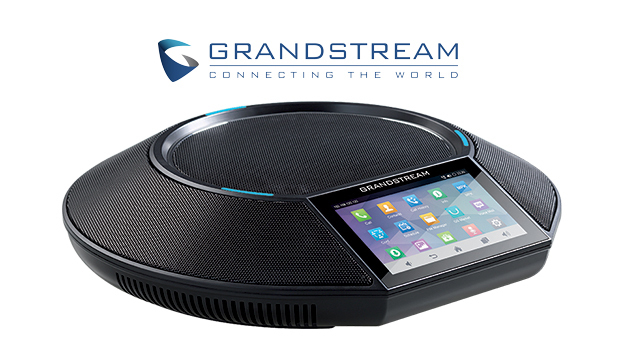 The GXV3275 offers full access to all Google Play Store apps, including Microsoft Lync®, Skype™, Google Hangout™, GoToMeeting™ and Salesforce1™. Android Smartphone/Tablet Functionality – The GXV3275 with 7” touchscreen delivers smartphone/tablet functionality with support for Android operating system 4.2 and full access to the hundreds of thousands of Android Apps in Google Play Store. SDKs and tools are available for differentiated custom application development on the Android platform and easy deployment on the GXV3275 phone. Integrated Bluetooth allows users to sync phone book between the GXV3275 and mobile phones easily and transfer calls between GXV3275, mobile phones, as well as Bluetooth headsets seamlessly. 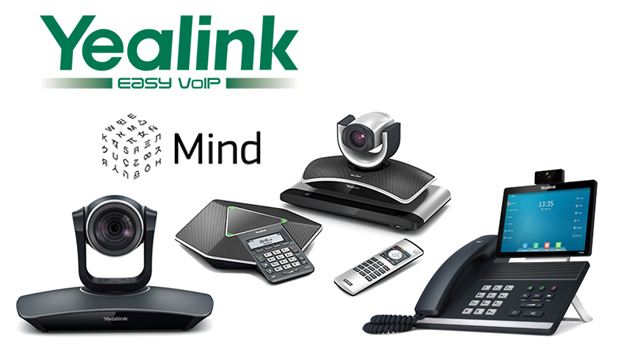 Free Multi-Platform, Multi-Party HD Video Conferencing – With GXV3275, business can affordably incorporate enterprise-grade video collaboration into the workplace with crystal clear HD video calling and multi-person video conferencing using various different technologies and protocols such as the open SIP standard, Microsoft Lync, Skype, Google Hangout, ooVoo, etc. – all from a single desktop video phone. The GXV3275 can function as a versatile real-time video display and control station for security surveillance and access control applications with its support for any SIP-based video cameras, including Grandstream’s GXV36xx family of IP video surveillance cameras, as well as other H.264 compliant video cameras or door cameras. The GXV3275 can be set to receive alerts/alarms/streaming video feeds from video cameras and door cameras whenever an alarm is triggered. Vertical industry businesses, such as retail, hospitality, manufacturing, security surveillance, and healthcare, can use Google’s Android SDK and Grandstream’s API/tools to easily create and deploy advanced custom Android business applications on their GXV3275 video phones for differentiated and enhanced communications, security protection, as well as better productivity and customer service.